As part of the yearly Continuing Medical Education (CME) program, during July, NRL organized two seminars on pre-analytical laboratory quality, titled as “Sample Collection Techniques and Phlebotomy Hands – on Training.” The events were hosted by Al Jalila Children Specialty Hospital in Dubai, on July 5th, and by NMC Speciality Hospital in Abu Dhabi, on July 12th. Both seminars attracted over 130 attendees, consisted of laboratory and clinical staff - nurses, laboratory technologists, accessioners and phlebotomists. The seminars were supported by Becton Dickenson and Pharmatrade, and were accredited with two CME points by the Dubai Health Authority. The participants were also awarded phlebotomy certificates by Becton Dickinson. Abigail Baguio, Technical Support Specialist from National Reference Laboratory presented a lecture on “Laboratory Specimen Collection and Handling”, followed by Dr. Vladimir Sashkov Medical Affairs Manager MENA from Becton Dickenson, who spoke about “Pre‐analytics Quality Assurance and Good Phlebotomy Practices”. 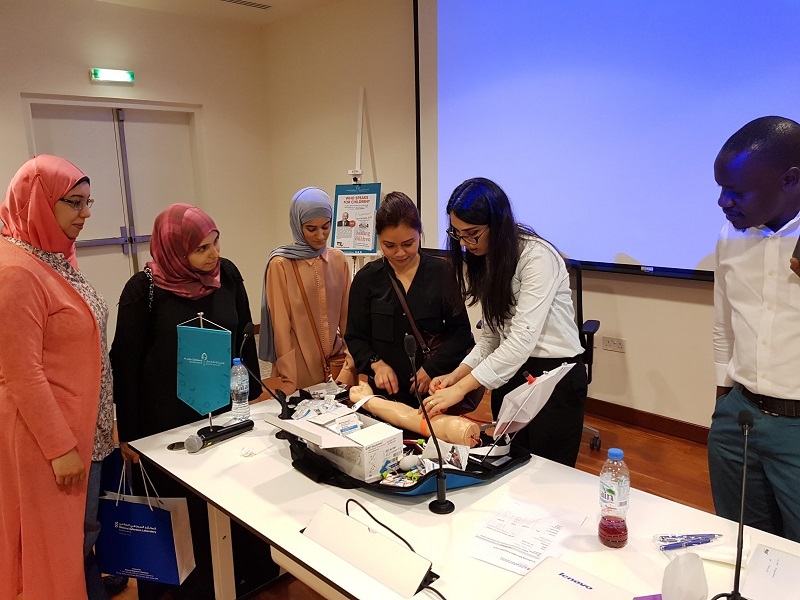 The presentation of Dr. Sashkov was an introduction to the hands-on phlebotomy training, when all participants had a chance to practice phlebotomy on a model, instructed and supervised by trainers from Becton Dickenson and Pharmatrade. Errors in the pre-analytical laboratory phase account for 60% to 70% of all errors in the laboratory. By organizing these educational activities, we are glad to have the opportunity to collectively directly increase laboratory quality standards and improve patient’s outcomes.